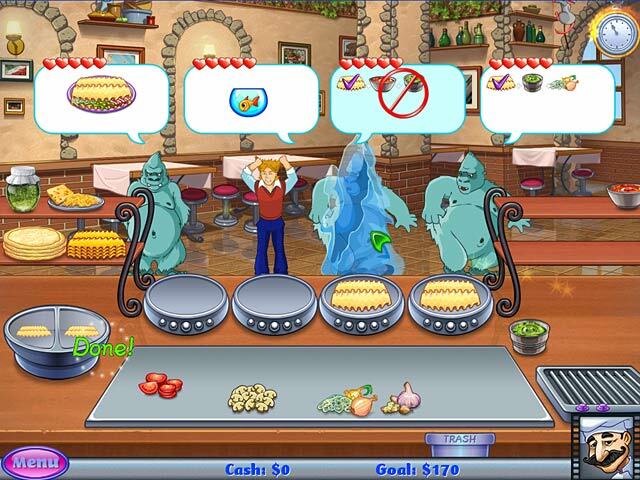 Review for game Cake Mania: Lights, Camera, Action! This is a time management game that lets you use a fun town map to play between 3 different shops. Around 110 levels in total. I found this to have fun, colorful visuals. It is challenging! You will need to do upgrades to your character in the bake shop before it moves at full speed. I found that I had to read up/learn customer behaviors/preferences/tips and tricks/ on this game in order to pass the levels and get the most out of it. However, once you learn a few tricks about how your customers behave, this does not change between the shops. 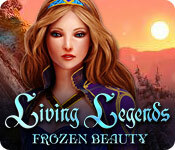 This game has been long lasting, not one that I was able to beat in a few days. It is nice to be able to pick which shop you feel like playing in and some of the characters are funny. So if you want a unique, fun , fast paced TM game, this is for you! 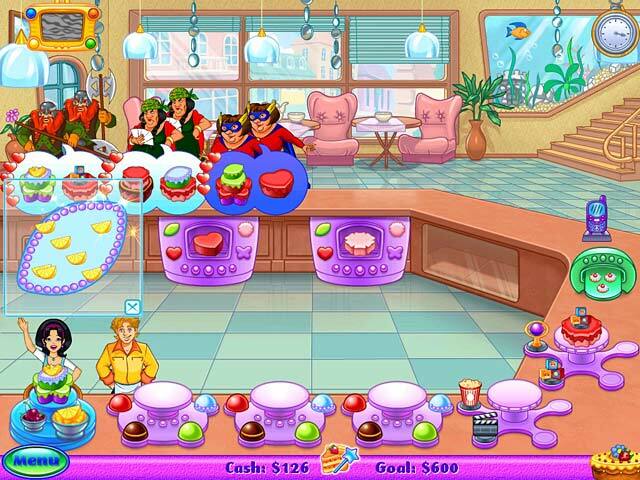 Where the usual cake mania games take you from one bakery to the next, this cake mania game allows you to experience different kinds of dash shops and experience whole new levels of needs, customers and challenges. The storyline was wholesome and appropriate for most ages, as expected from a cake mania game and the ending was sweet, but not sickly so. All up a tribute to what we have come to expect from a cake mania game. 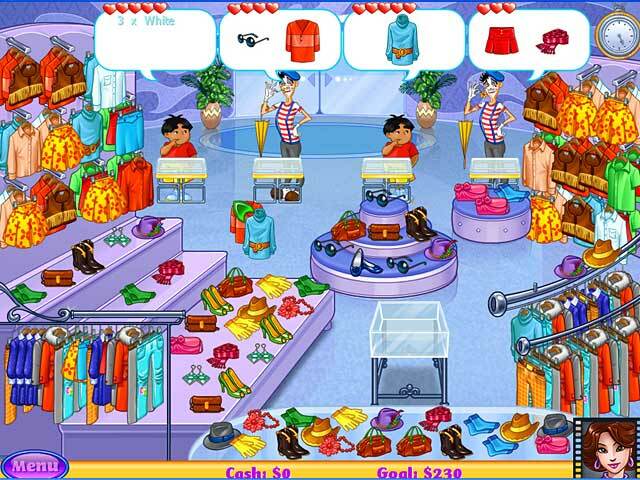 Very similar to Cake Mania Main Street with the different shops and all, but I like the clothing store most ^_^ Game is a nice length since there are all those different stores to build up and finish. The graphics are cute, simple, but better than most TMGs tend to be. It's quirky, comical and amusing to boot. This is a cute game with a funny storyline. Yes, it's a little cheesy, but c'mon, it's a cake game. I love the quirky characters except for the gross ones like the kid digging in his nose and the guy who spits on everyone. Other than that they were cute and funny. You get to do more than bake cakes in this one. It is very similar to the main st. game. Lots of levels and lots of challenge. Anticipating the baby is the best part, so worth playing for that. I didn't care for the way Jack is portrayed in this game. I won't give anything away, but his character could have been developed in a different light and it would have had more appeal. Anyway, it is an entertaining game and well worth the money. Very sweet ending, so don't miss this one! this game is very fun and requires only a little thinking. I really love the Cake Mania games. They are well put together, and just a lot of fun. Will keep you busy for a while! In this game, its as if you've just bought three games for the price of one. You have Risha's boutique, Evans Bakery, and Gordo's pizza. Risha and Gordo each have a a lot of levels, while Evans Bakery has DOUBLE the levels. 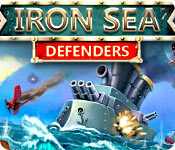 This game has a lot to do, and will definitely keep you busy for a few days with all the different things available. My only complaint is that the voice overs for each character can be a little bit annoying, you'll see what I mean when you buy the game.